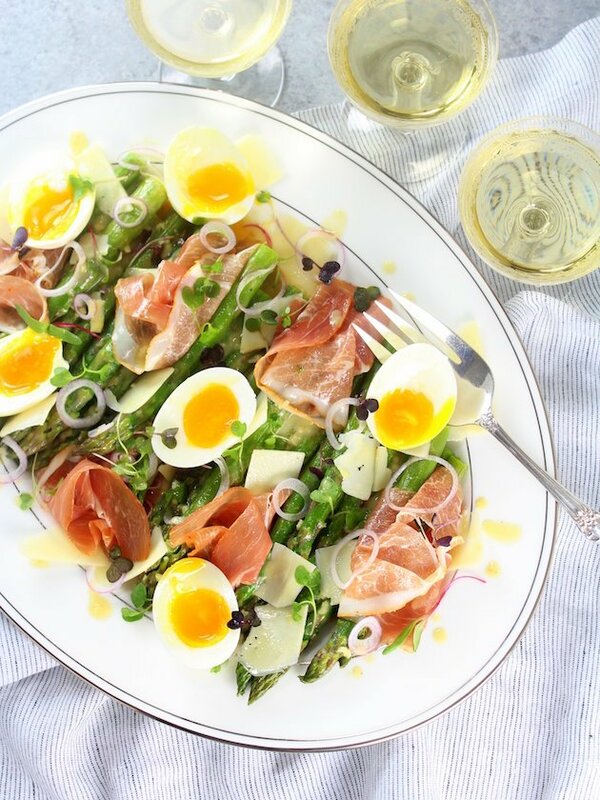 Asparagus Salad with Eggs and Prosciutto is light and fresh and perfectly filling. 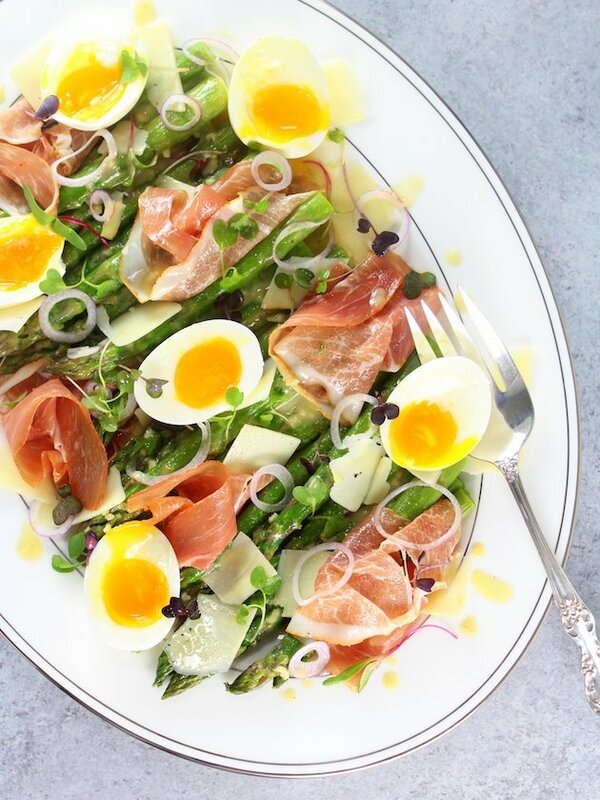 With soft-boiled eggs, al dente asparagus, pea shoots, Asiago cheese, prosciutto and a lemon-Dijon Vinaigrette. 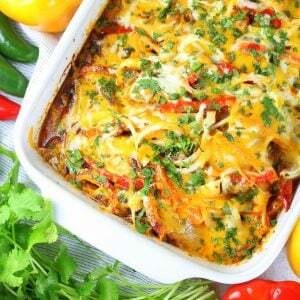 It’s a delicious brunch or side salad for a special occasion or just celebrating spring. 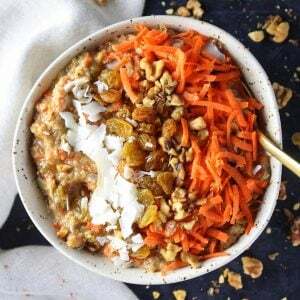 This salad is exactly what I would want someone to make me for brunch!! (Hint hint.) Then possibly some Lamb with Polenta for dinner! That would be so dreamy! !😊💕 Anyone??? I can’t take credit for this masterpiece. Well, not completely. 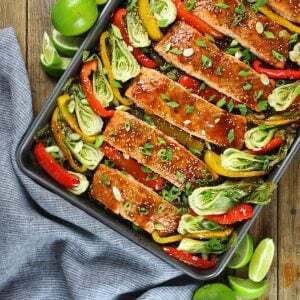 I was at my chiropractor’s office flipping through one of my favorite food magazines – Eatingwell. Love.❤️ And there was this gorgeous salad on a two-page spread. I knew then it had to be mine. 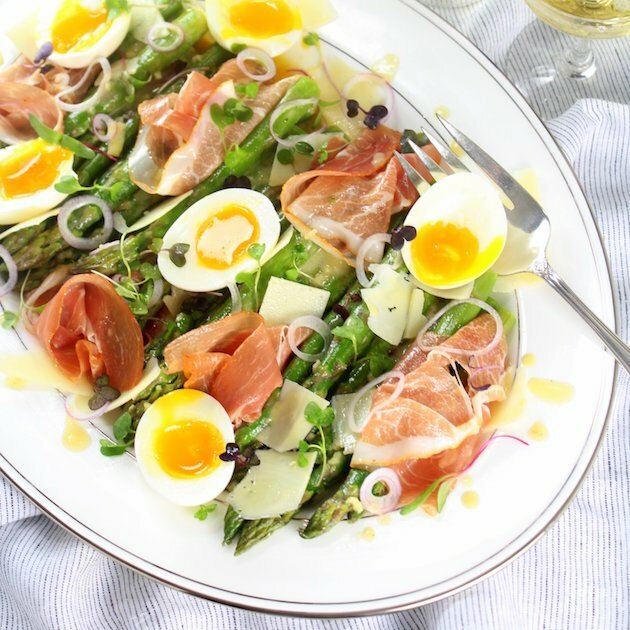 The original recipe is called Asparagus Salad with Eggs Jambon de Bayonne.✨ So fancy – right!? 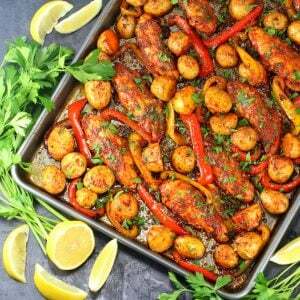 The recipe was created by Seamus Mullen, an award-winning New York chef, restaurateur and cookbook author known for his inventive yet approachable Spanish cuisine… and also a leading authority on health and wellness. 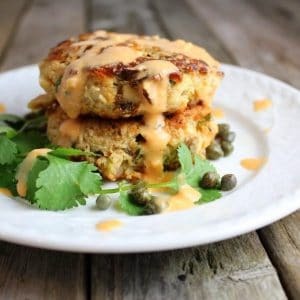 He’s got it going on!🙌 But don’t take my word for it check out his blog or his cookbook for more tasty creations. Don’t let all this fanciness intimidate you. 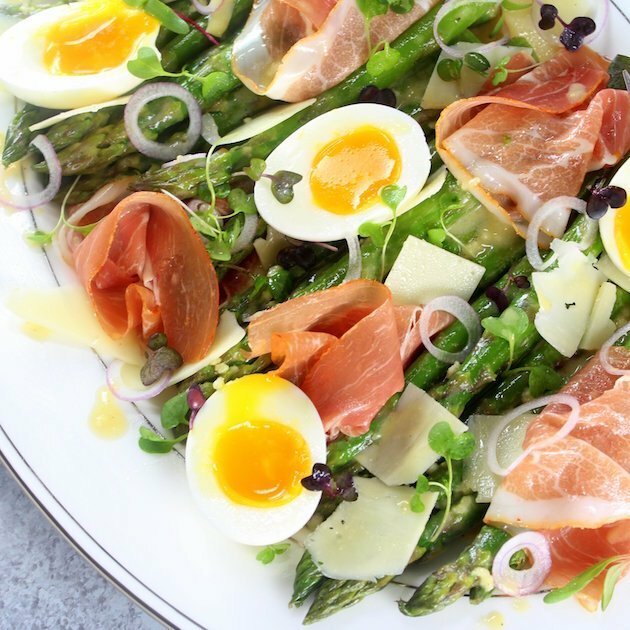 You’ve totally got this.👊 It’s as easy as boiling asparagus and eggs and whisking together the dressing. For reals. This Asparagus Salad with Eggs and Prosciutto is an easy and healthy feast for the eyes and the belly. And what mother, grandmother, or fabulous lady in your life wouldn’t adore that!?? Happy Eating and Happy Spring! 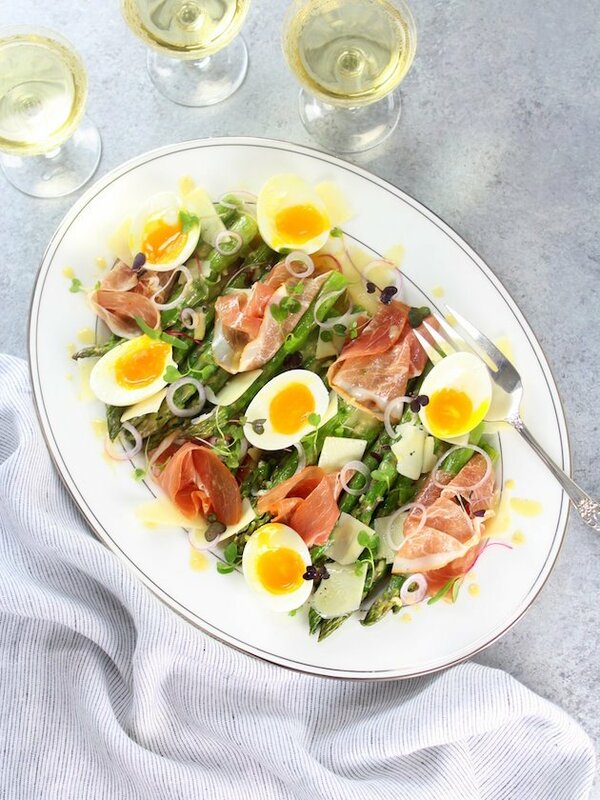 Asparagus Salad with Eggs and Prosciutto: with soft-boiled eggs, al dente asparagus, pea shoots, Asiago cheese, prosciutto and a lemon-Dijon Vinaigrette. Put a large pot of salted water on to boil. Fill a large bowl with ice water and place next to the stove. Once water is boiling, add asparagus and wait for water to return to a boil. Continue to cook asparagus for 2½ minutes, then immediately transfer to the ice water with a slotted spoon. Return water to a boil and add eggs, then cook for 7 minutes. While the eggs are cooking remove the asparagus to a clean kitchen towel and pat dry. 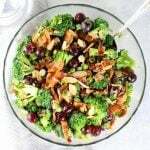 Combine all Vinaigrette ingredients in a bowl, and whisk until dressing comes together. Gently remove shell from each egg, and cut each egg in half. 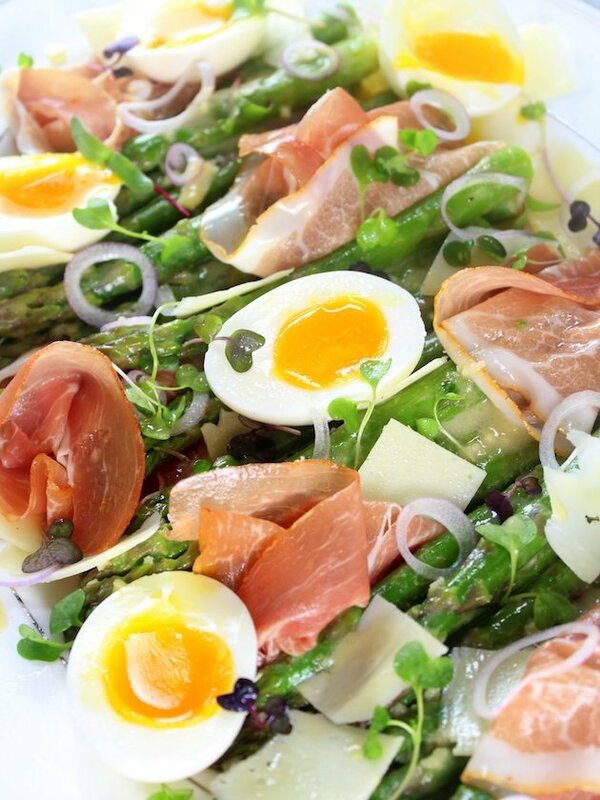 Arrange the asparagus and eggs on a large platter and sprinkle with salt and pepper. 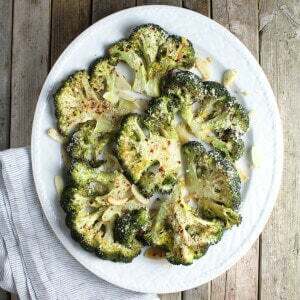 Then drizzle with the vinaigrette. Top with prosciutto, shallot, sprouts and Asiago Cheese. 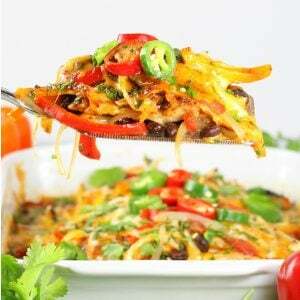 To add a slight smoky flavor sprinkle the salad with smoked paprika. 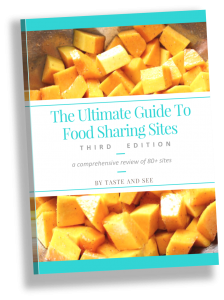 Looking for more great salad recipes? Try our Jalapeño Cilantro Corn Salad or this Grilled Mediterranean Chicken Salad.